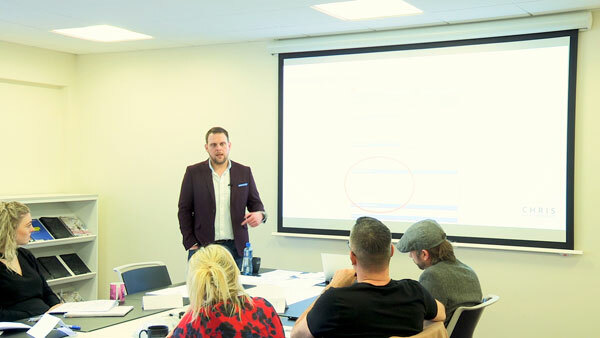 My consultancy and speaking services are aimed at CEO’s and Marketing Directors of national and international companies, who are looking to improve the efficiency of their digital marketing. This also includes event organisers who are looking for an inspirational marketing specialist to speak at their event. Via my consultancy services I can work with you directly to help develop and implement an effective digital marketing strategy or I can work with your team helping them to gain the skills and knowledge that will translate into an increase in revenue and profits. "I have no hesitation in recommending Chris as an outstanding digital marketing consultant and presenter!" There are many reasons why I would be a great asset to help you grow your business's revenue and profit. Including the usual benefits you will gain from most consultants, such as the outside perspective from a proven professional who has worked with a whole range of businesses. Explain hard to understand or very technical processes/topics in a very easy to understand (or more importantly, actionable!) way! Act with integrity, saying things the way they are and only working where I can provide value. Title: Marketing the Right Way! Summary: Marketing should be so much more than simply producing an advert and hoping someone takes the bait and buys. It should be a well thought out strategy for not only attracting the right customers and clients but also putting off those who would not be a great fit for your business, causing customer service headaches further down the line. It should also build a long lasting relationship which keeps customers coming back to buy, time and time again. Who is this training for? Those responsible for marketing your business, including the leadership (e.g. Marketing director) and all members of your marketing team. How to identify your ideal clients/customers. How to approach your marketing in a scientific manner allowing you to test, track and improve on the results. How to create a lasting and fruitful relationship, with your customers/clients, where they are happy to make repeat or new purchases with you time and time again. Contact Me About Marketing Your Business The Right Way! Summary: Marketing works most effectively when you take a holistic view and create a strategy that can be implemented, where each individual section working together to make the combined effect far greater than that of the sum of the parts. During this consultancy, I will help you gain clarity on the best ways to attract and communicate customers/clients whilst increasing the value of your current and future customer/client base. To take these methods and break them down into individual, actionable tasks that will drive your business forward and most importantly gain buy in from all those involved to ensure the strategy has the best chance of success! How to create an effective “big picture” strategy. How to break that strategy down to actionable tasks and projects. How to gain full “buy in” from your team, allowing them to take ownership of their individual sections of the strategy. Summary: Would you like to acquire more customers, who are more valuable to your business, cheaper than you've ever had before? Using digital funnels correctly will increase conversion rates whilst also providing a better user experience encouraging further and larger purchases than your standard website ever can. I can show you how to design, build and implement a digital sales funnel, which is arguably the most powerful tool any digital marketer has, increasing the effectiveness of all your other marketing. Who is this training for? All members of your digital marketing team. How to design, implement, test and improve your digital sales funnels. How to increase the effectiveness of your paid traffic sources by giving the ad platforms what they want, whilst also maintaining your own conversions. How to mitigate client acquisition costs whilst also increasing profit. Talk To Me About How Digital Sales Funnels Could Add 25% To Your Bottom Line! Summary: Email marketing (when used correctly!) will be one of the most effective methods that any business can use today but it is also one of the most underused methods with a lot of confusion surrounding it. With my guidance you will soon be able to generate leads, nurture them into sales and encourage repeat orders/purchases on demand! Who is this training for? Digital Marketing Managers, Content Managers. Why asking people to “sign up to our newsletter” is a really bad idea. The proven formula you should follow to make your emails an extremely effective sales tool, without turning off your database. How to grow a huge database of your ideal prospects as quickly, easily and cost effectively as possible. Do you know how to work the true marketing cost of generating a new customer? 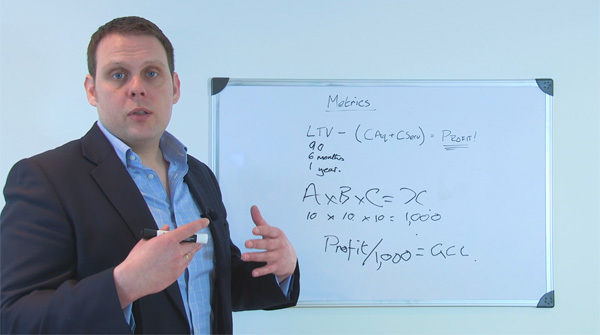 This short training explains the real metrics that you should be looking at to understand how much you can afford to spend to acquire a customer. Marketing the right way: An excerpt taken from a “Marketing the right way” workshop, explaining how to use scientific marketing, build relationships with your prospects and progress the relationship to the sale – Making selling superfluous! What if the topic you want is not listed above? If you would like a topic not mentioned above, all you need to do is contact me and I will let you know if I am the right person for the job! I can speak and consult on a wide range of marketing topics but will only accept a job if it is around a topic I know I can over deliver value on! Each consultancy and speaking event I perform (even the topics from the list above) are tailored specifically for the audience I will be presenting to. This ensures you will receive the maximum value from me and the audience will be empowered to take what they have learned, translating it into results! Reach out to me and I will be happy to discuss your requirements in more detail! "Chris has the ability to make even the most complicated situations/processes simple and easy to grasp (irrespective of your level of knowledge), underpinned by practical examples that generate both long-term benefit and, essentially, profit!" A personal reply! It is important to me that I can provide as much value to my speaking and consultancy clients as possible. To enable me to do that I will speak to you personally to understand who the audience will be and what your aims for the consultancy/speaking are. This ensures we are a great fit for each other. A full outline of what I will cover! This ensures the consultancy/presentation will meet your expectations and deliver tremendous value whilst also allowing you to prime the audience of what to expect. A fantastic presentation/workshop! Delivered in a way that inspires and empowers attendees to take their marketing to the next level, Combined with access to supporting notes and additional resources (where appropriate) via our online learning platform… Truly giving you an edge! A follow up call/feedback session! After I have completed the agreed work, I will be in touch with you to make sure you have everything you need and that I have more than performed for you!